Gorgeous high waisted yoga pants now at 50% off and available in three patterns - Flower, Cobweb and Grey. 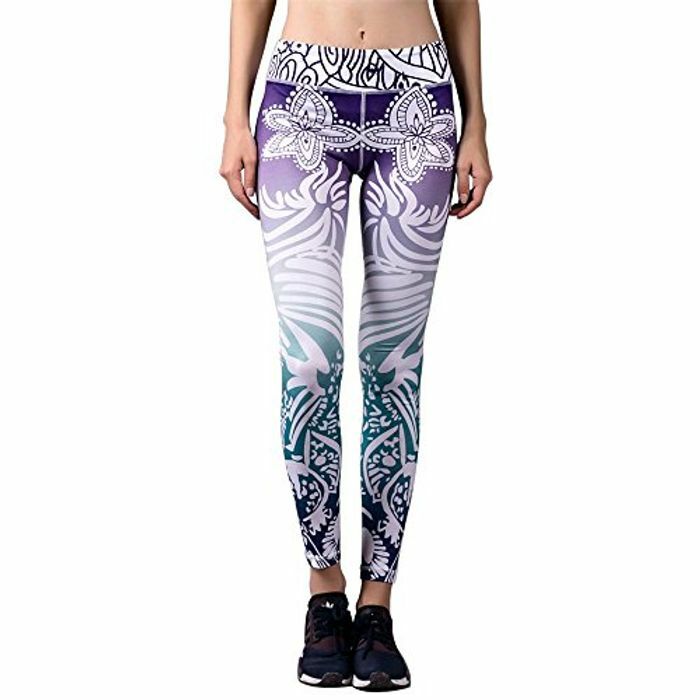 Super ventilation and fit to flatter, yoga pants features a high waist and pattern details,plus quick-dry 4-way stretch that wicks away moisture and is breathable during workout.It's perfect for those who wants to dressed well and have a stylish look. Customized fabrics, wicks away moisture and dries quickly, providing maximum comfort. 3D seamless construction, stretch elastic material, ensures close-fitting coverage.Firm control wide waistband flattens tummy and streamlines shape.